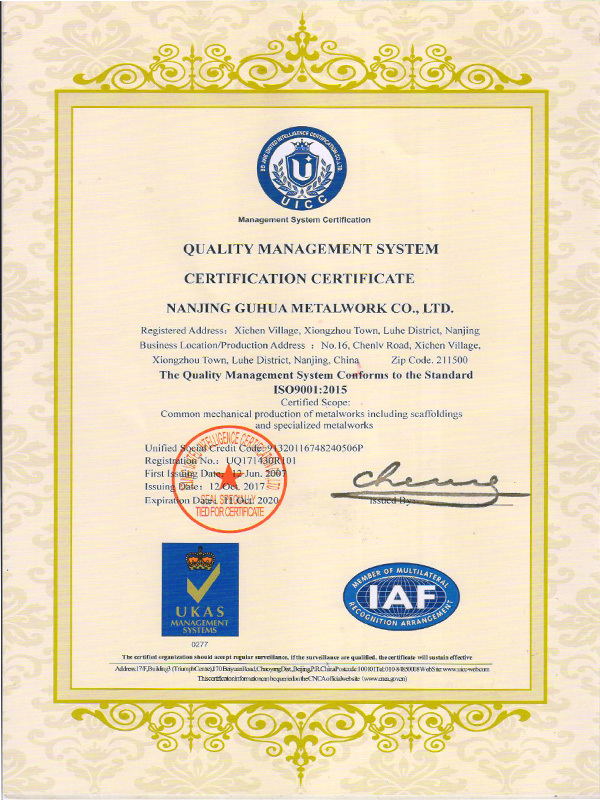 Quality is of the utmost importance to NGM, and its clients, almost all of whom are repeat customers. 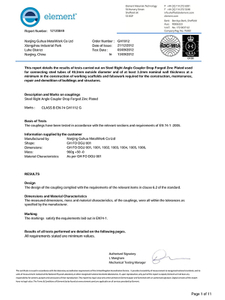 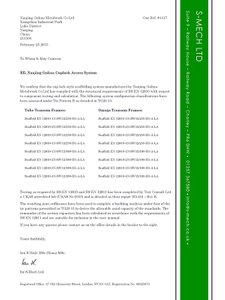 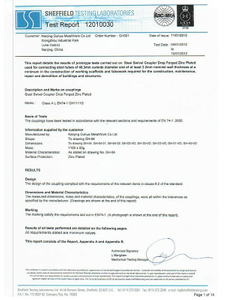 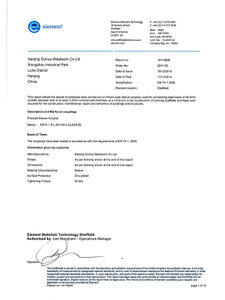 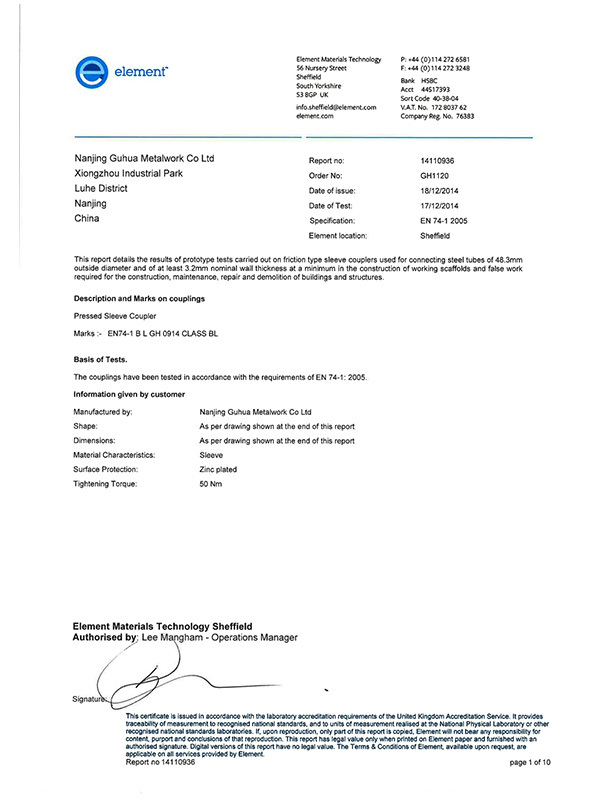 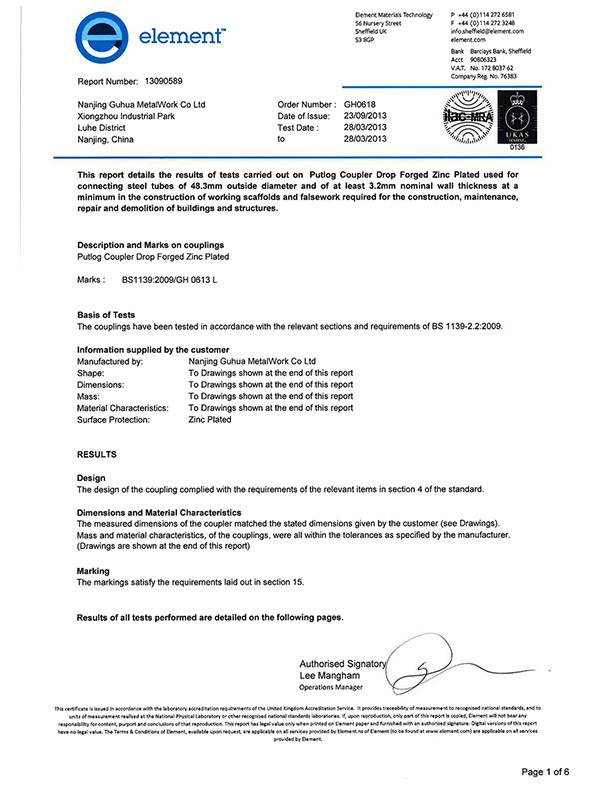 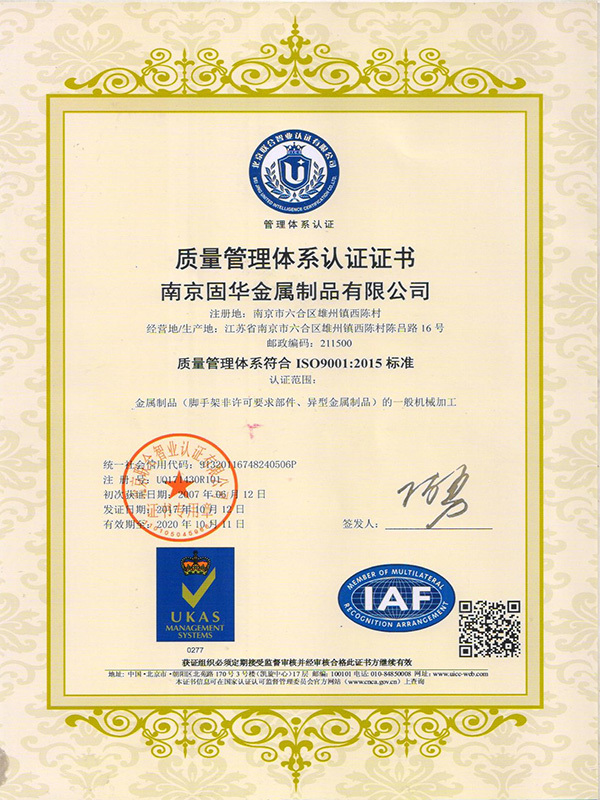 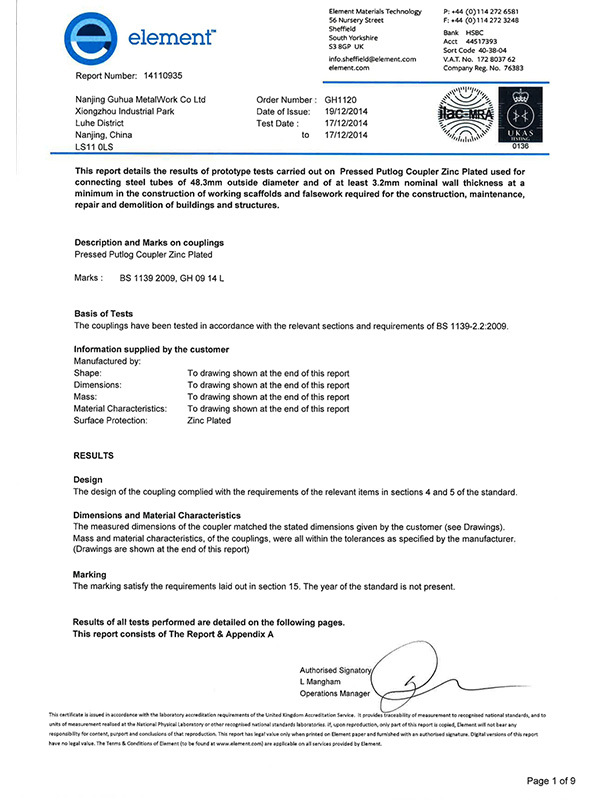 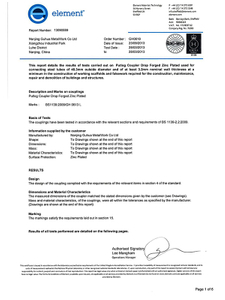 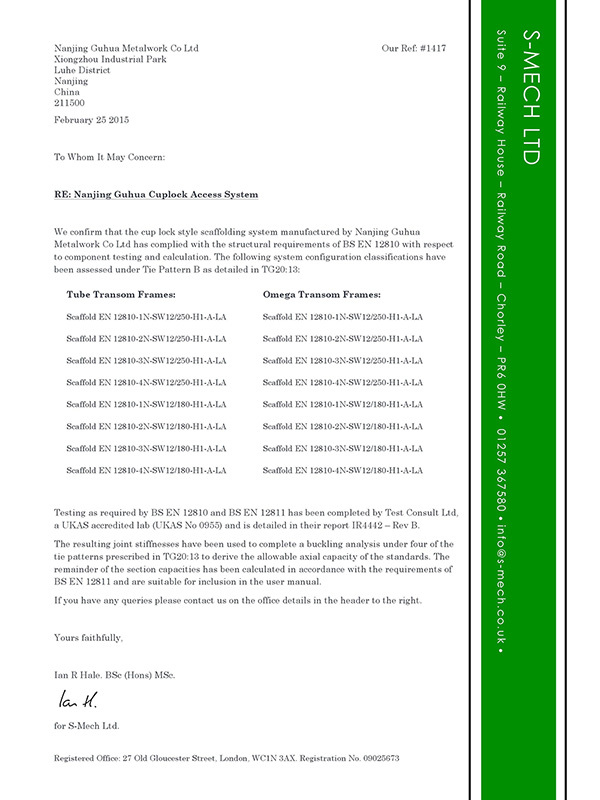 The company has received ISO-9001 2015 Quality Control System Certification and has undertaken to test and certify all products at UK test laboratories to the highest UK and European Standards; BS/EN 12810 & 12811 for system scaffolds and BS/EN 74 A & B for pressed and drop forged scaffolding fittings. 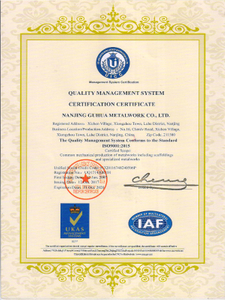 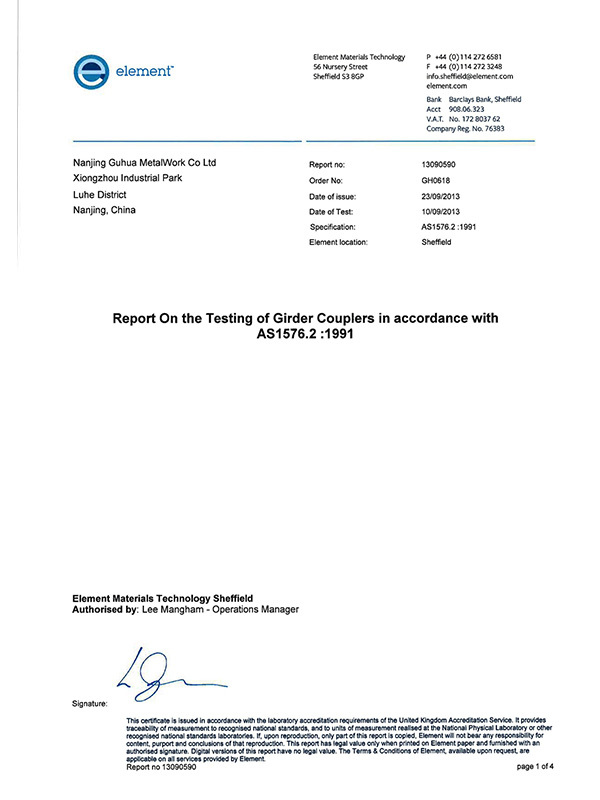 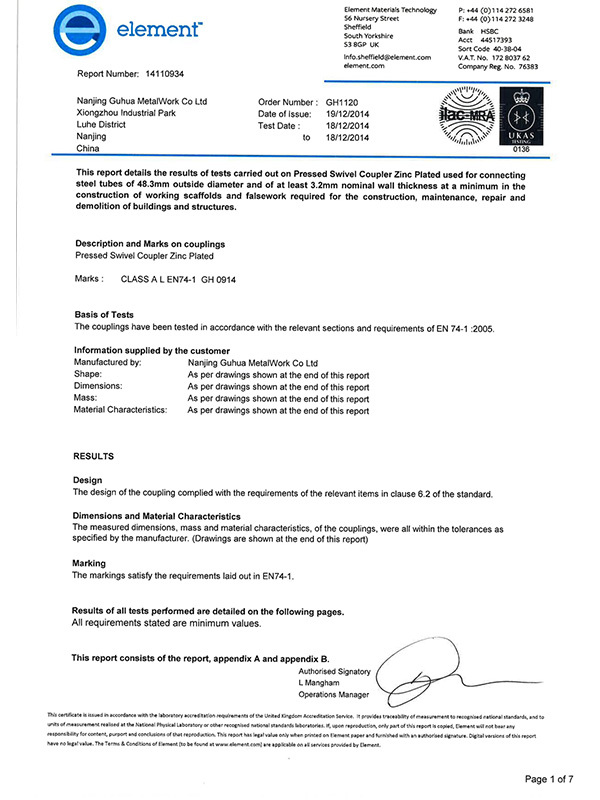 In addition to the stringent testing of our products and services, in January 2016, NGM successfully complied with UK Consultancy Company Quality Solutions International Ltd (QSI Ltd) supplier site assessment for Business Management, Product & Process, Environment, Health & Safety and Ethical requirements. 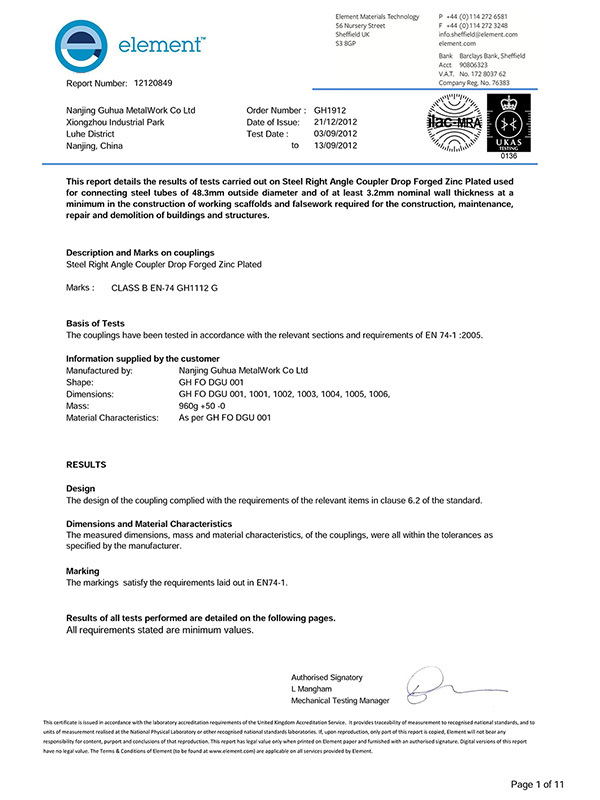 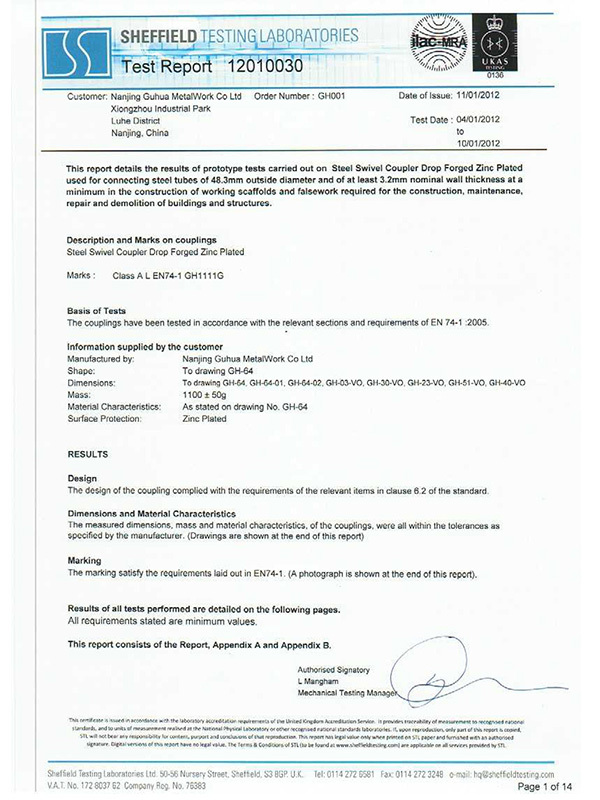 As well, NGM also complies with factory site requirements for the NASC System Scaffold Code of Practice annual audit on behalf of a NASC (UK) supplier member.